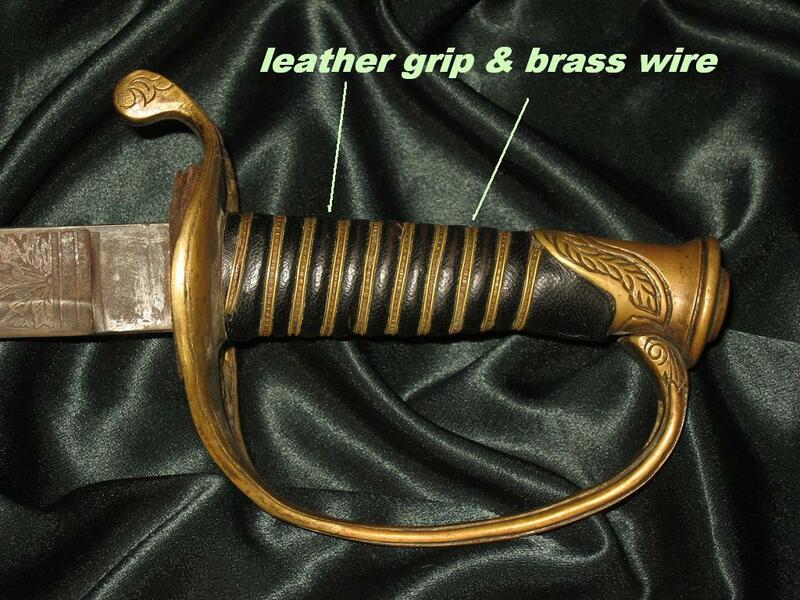 These fakes have the incorrect leather grip with improper wire. 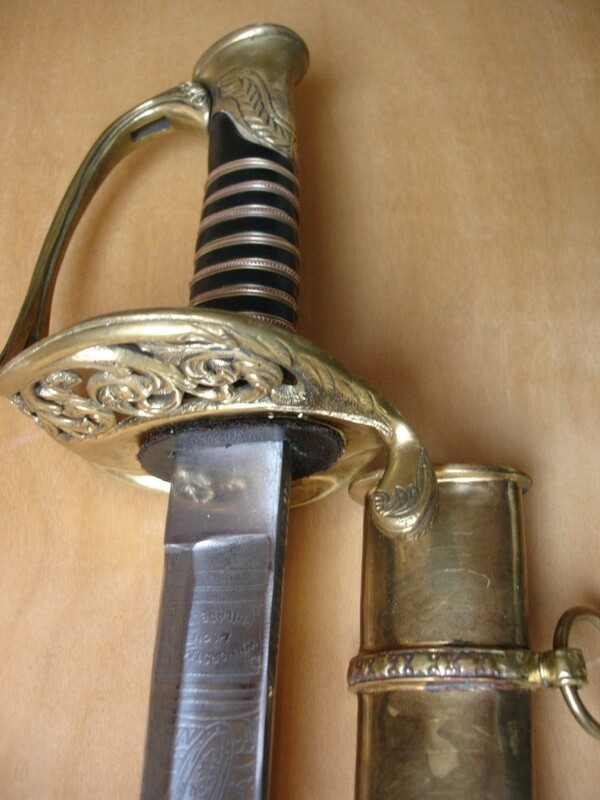 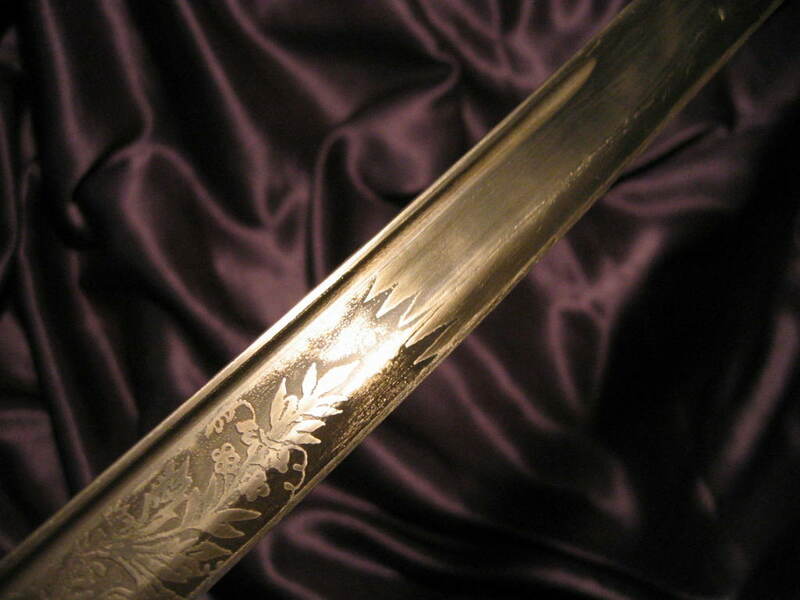 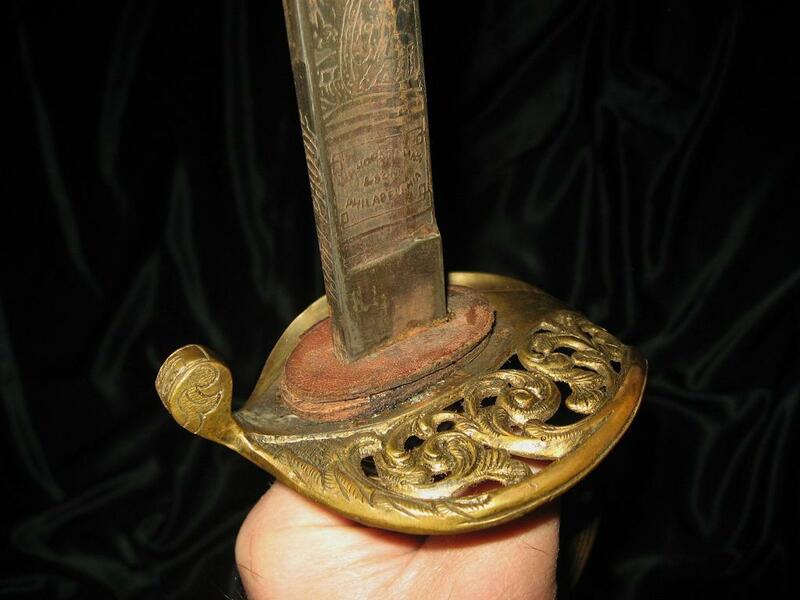 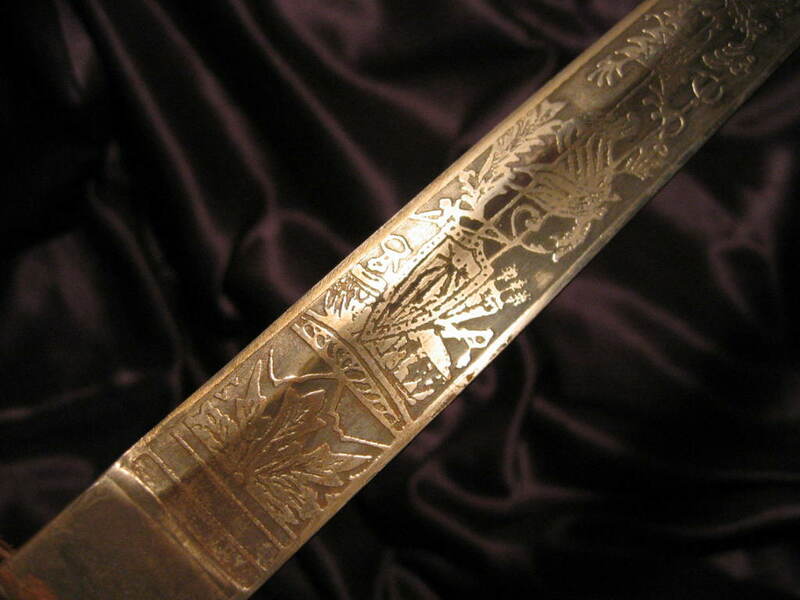 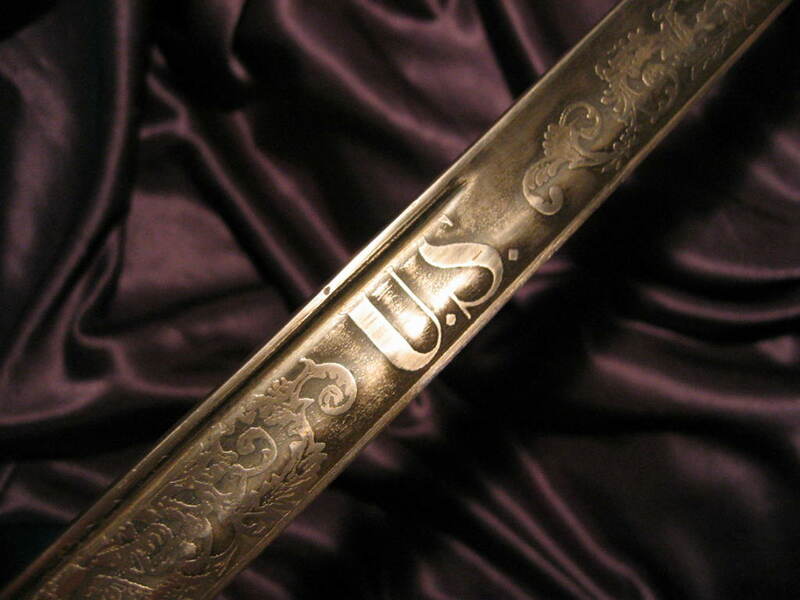 The Horstman marking's lack the attention to detail, and the scabbard is a reproduction. 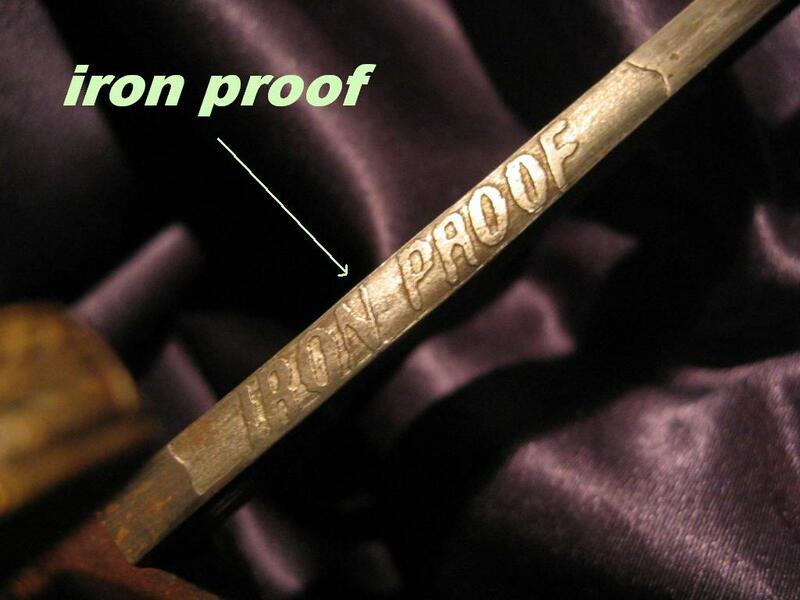 Don't be fooled by the etching!! 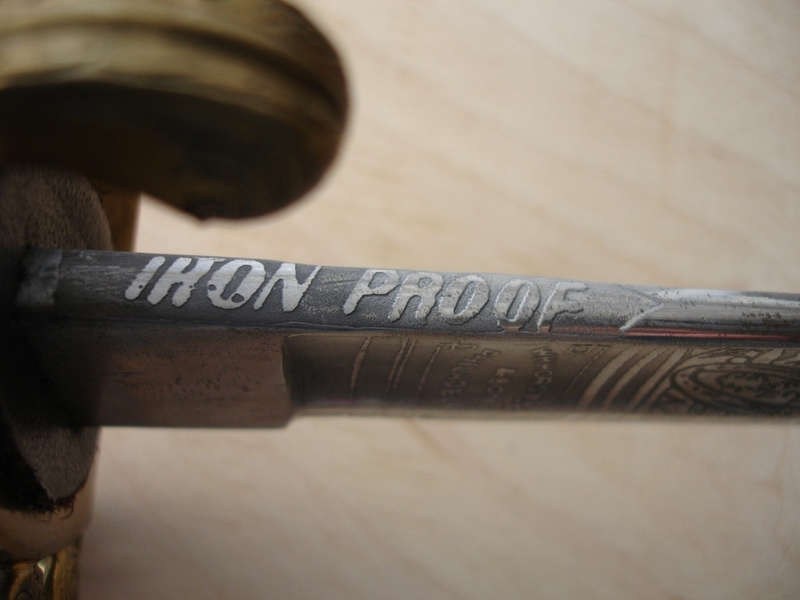 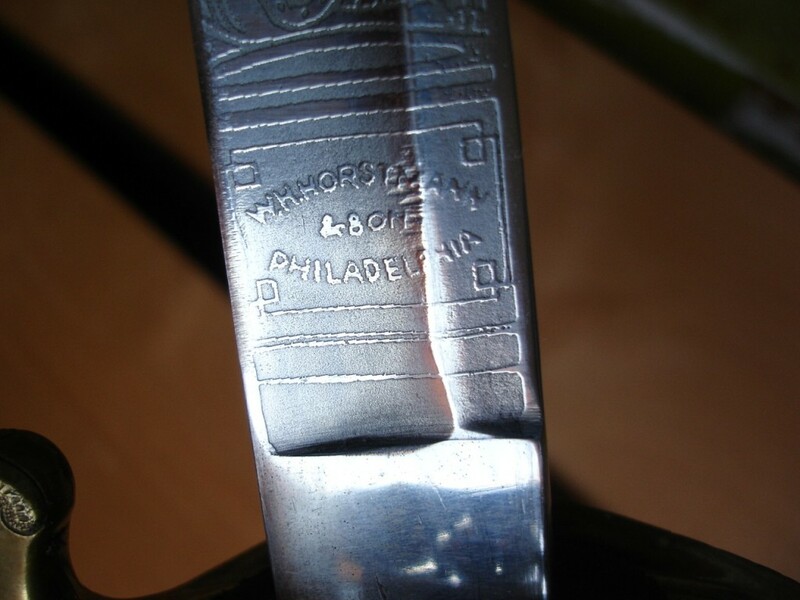 THE "S" IN SON LOOKS LIKE THE NUMBER "8" "IRON PROOF" NOT CORRECT AND THE ETCHING IS CRUDE AND ROUGH, IT IS CAST AND NOT ETCHED INTO THE BLADE. 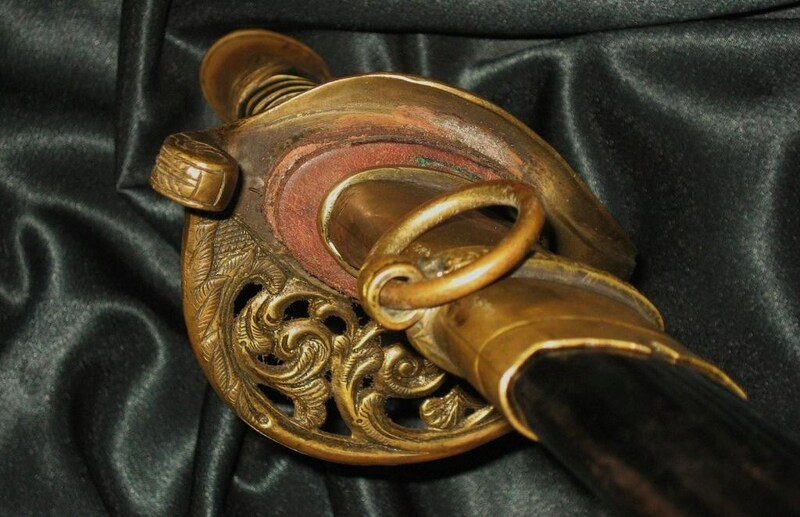 LOOK AT THE DETAILS! 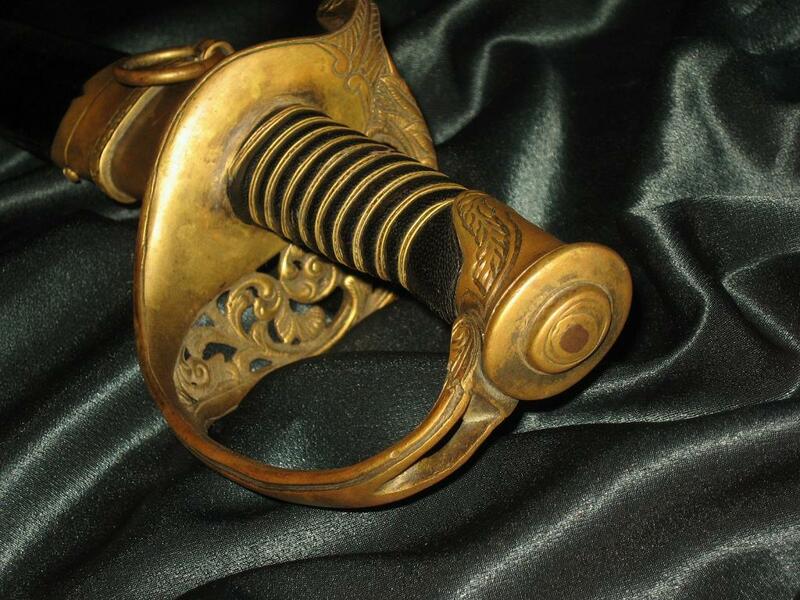 THE DESIGN OF THE GUARD IS INCORRECT, THE LEATHER IS TOO NEW AND THE WIRE IS WRONG. 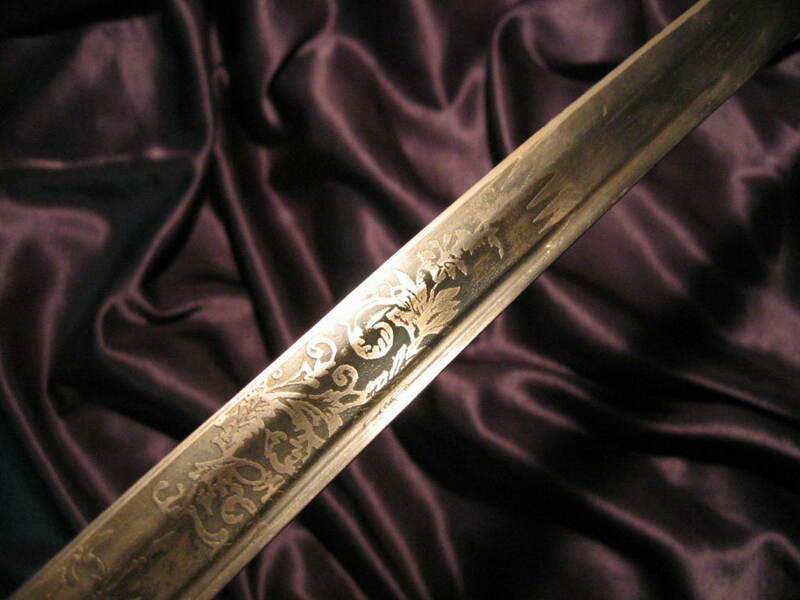 THE ETCHING IS CRUDE BECAUSE THE BLADE WAS CAST. 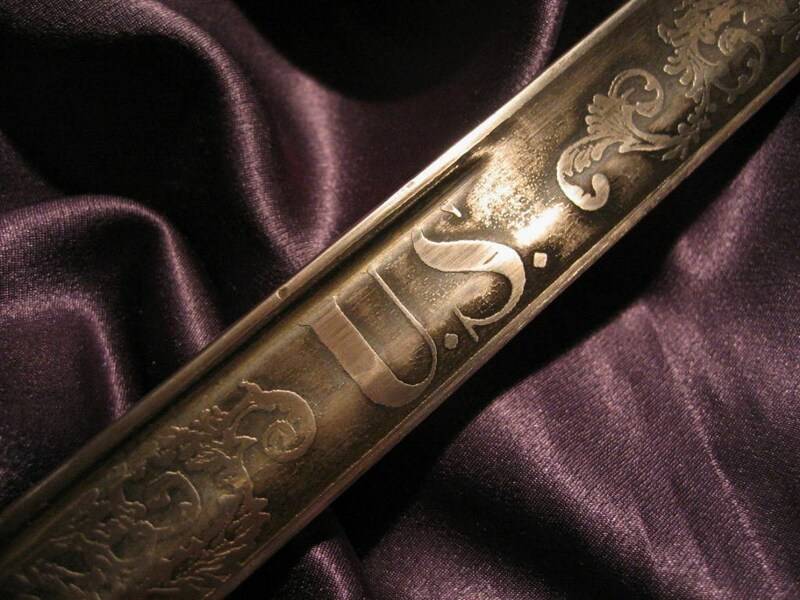 LOOK AT THE CRUDE EAGLE IN THE ETCHING AND THE ROUGH SHAPE OF THE LETTERING. 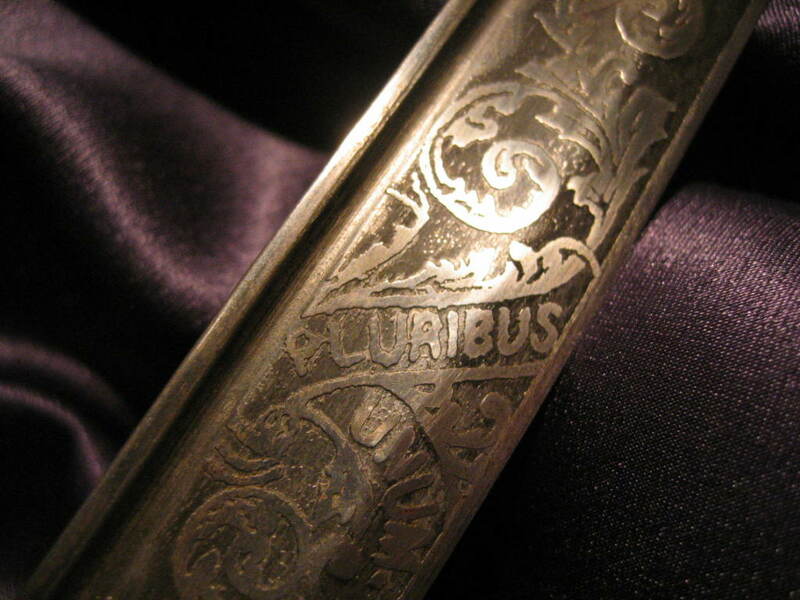 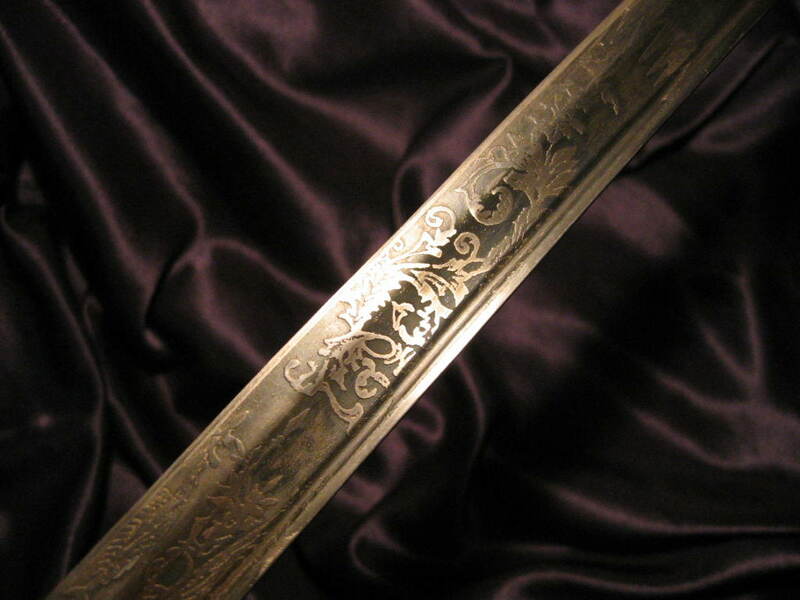 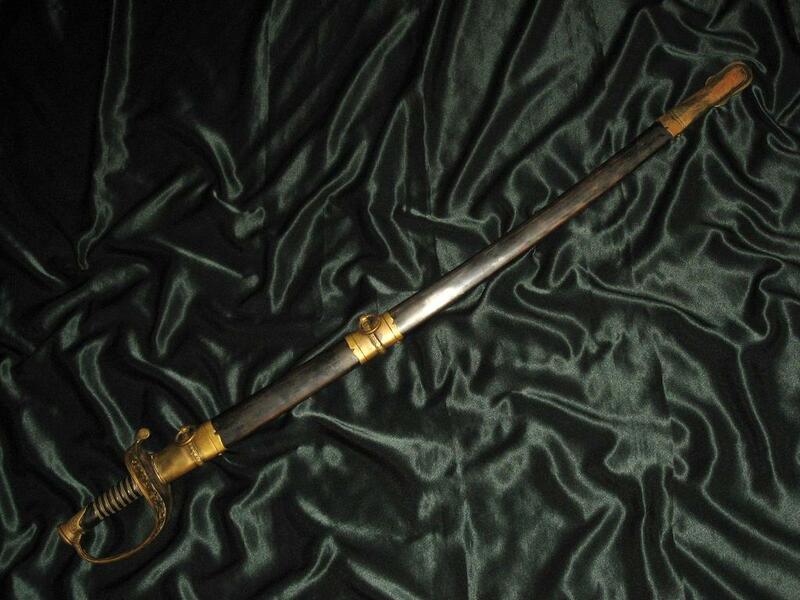 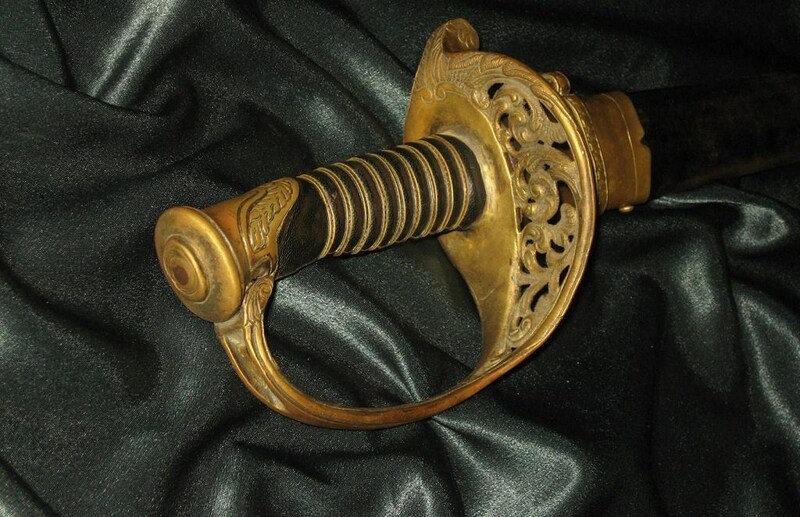 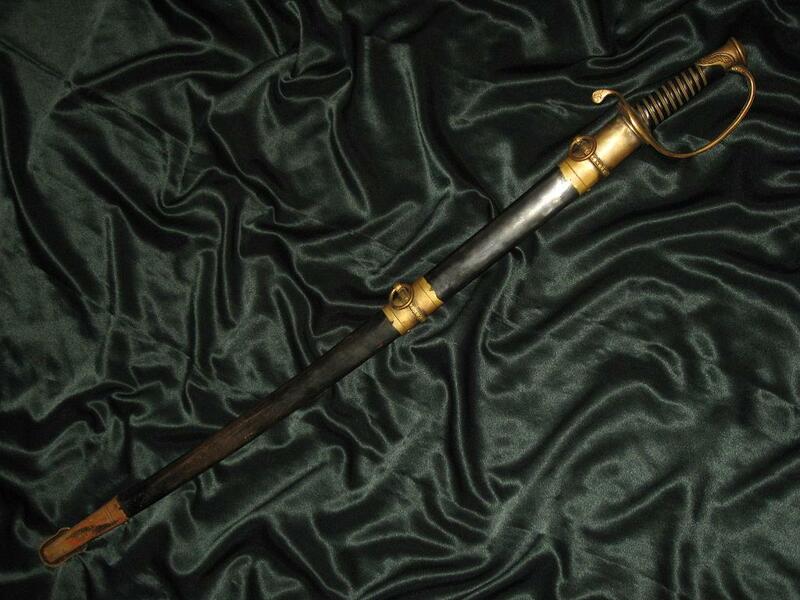 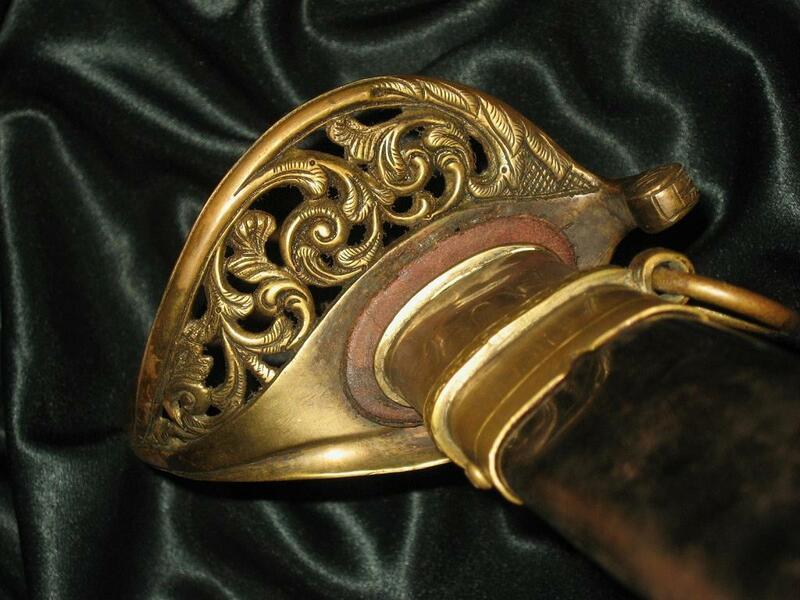 SCABBARD IS A REPRODUCTION.